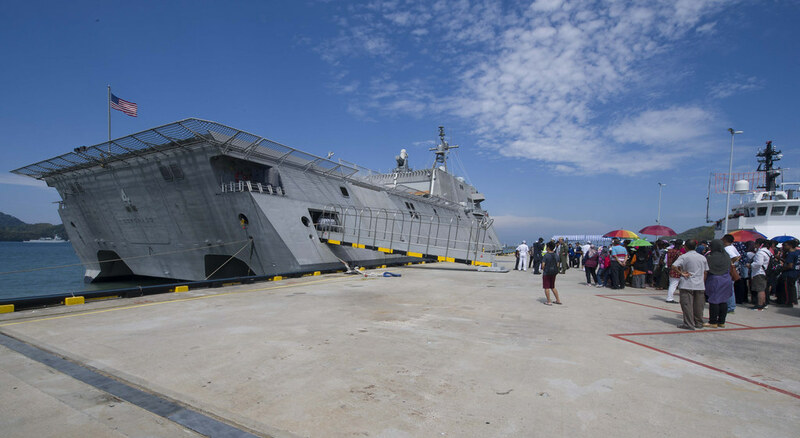 LANGKAWI, Malaysia - Littoral combat ship USS Coronado (LCS 4) participated in the Langkawi International Maritime and Aerospace (LIMA) Exhibition 2017, March 25-26. LIMA is the premier aerospace and maritime exhibition in Southeast Asia, and in 2017 the exhibition included 38 countries showcasing technology in sea and air systems to address the wide spectrum of security challenges being faced throughout the region. While pierside in Langkawi, more than 900 visitors, including media from local and international news outlets, Malaysian officials, military members and members of the general public, were welcomed aboard by the Coronado crew to tour the ship. "As a new platform, LCS prompts a significant amount of interest and curiosity amongst our maritime partners," said Cmdr. Scott Larson, commanding officer, USS Coronado. "The opportunity to build a greater sense of mutual familiarity, while also showcasing the revolutionary attributes that our ship adds to the mix, supports theater strategic objectives and lays the foundation for continued partnership and coordination in the future." 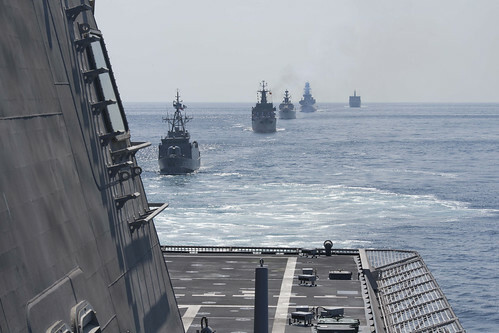 As part of LIMA, Coronado joined ships from Australia, India, Indonesia, Italy, Japan, Malaysia, Pakistan, the Philippines, Singapore, Sri Lanka, Thailand and Vietnam for a sea phase featuring formation steaming, divisional tactics and a maritime interdiction operation. 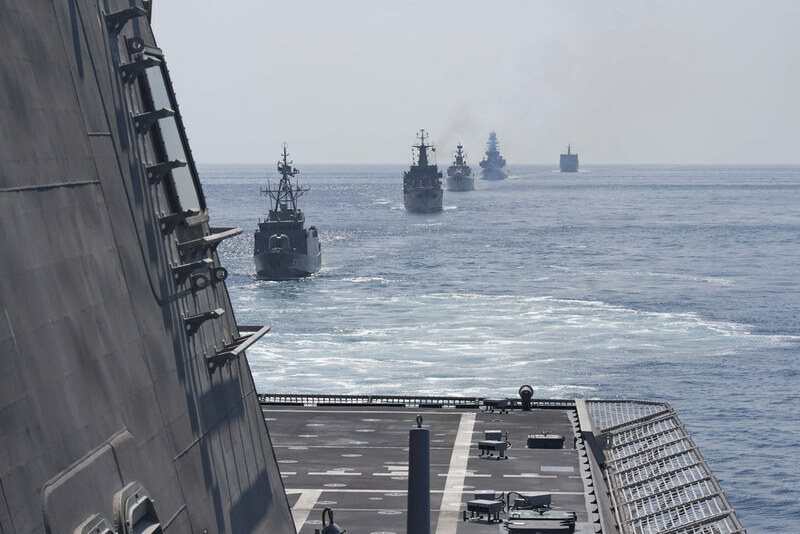 "This underway period had several important objectives, principally to represent the U.S. Navy at LIMA," said Larson. "The event reinforced relations with key maritime partners in the region, while highlighting the unique capabilities that the littoral combat ship and its embarked aviation detachment bring to the 7th Fleet area of operations." Helicopter Sea Combat Squadron (HSC) 23 Det. 5 provided a static display of an MH-60S Seahawk helicopter and an MQ-8B Fire Scout unmanned aircraft for the exhibition. 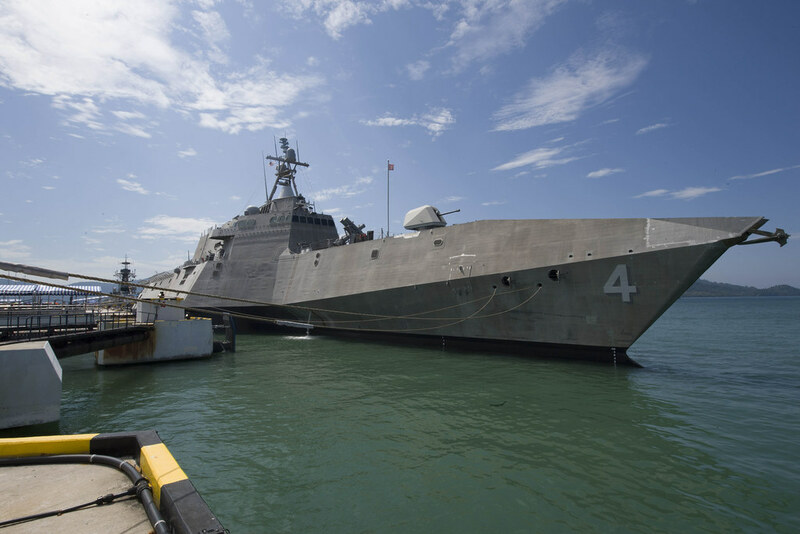 "We have a strong and growing military-to-military relationship with Malaysia and participation in LIMA gives us an opportunity to cultivate our partnership," said Lt. Cmdr. Thanh Nguyen, officer in charge, Helicopter Sea Combat Squadron (HSC) 23 Det. 5. "We might be from different parts of the globe, but we share the common bond of service and no matter the language barriers we can all relate." There is a longstanding history and commitment to partnering with foreign militaries throughout the Indo-Asia-Pacific region. Through decades of exchange, training and collaboration between the United States and regional countries, capabilities have been built that collectively enhance the future security and stability of the region. Currently on a rotational deployment in the U.S. 7th Fleet area of responsibility, Coronado is a fast and agile warship tailor-made to patrol the region's littorals and work hull-to-hull with partner navies, providing 7th Fleet with the flexible capabilities it needs now and in the future. On behalf of Commander, Task Force 73, Destroyer Squadron 7 serves as operational commander for littoral combat ships rotationally deployed to 7th Fleet, and conducts advanced planning, organizes resources, and directly supports the execution of maritime engagements such as the Cooperation Afloat Readiness and Training (CARAT) exercise series, the Naval Engagement Activity (NEA) with Vietnam, and the multilateral Southeast Asia Cooperation and Training (SEACAT) exercise with Bangladesh, Cambodia, Brunei, Indonesia, Malaysia, the Philippines, Singapore and Thailand.